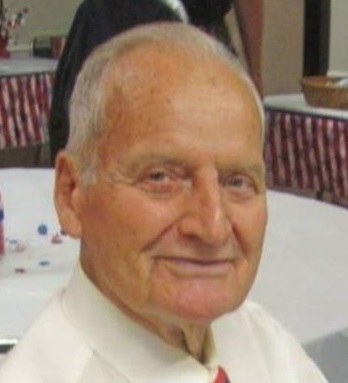 Obituary for Roger L. Keefer | Feiser Funeral Home, Inc.
Roger L. Keefer, 85, of New Oxford, died Saturday, November 17, 2018 at the Gardens at Gettysburg Nursing Home, Gettysburg. He was the husband of the late Doris Jean (Jacoby) Keefer, his wife of 53 years. Roger was born July 1, 1933 in Carroll Co., MD, the son of the late Archibald and Bertie Ellen (Brown) Keefer. Roger was a member of the Bible Fellowship Church of Adams Co. Roger was a Korean War Veteran, serving with the U.S. Army, a member of the American Legion, Gettysburg Post 202, and a member of the 40/8 Post 731 of Adams Co. Roger was a member of the local Teamsters Union #776. Roger is survived by two sons; Michael L. Keefer and his wife Lisa of Biglerville, and Timothy R. Keefer of New Oxford, three daughters; Regina L. Tyree and her husband Joseph of Fairfield, Brandy M. Felton and her husband Michael of Gettysburg, and Lisa A. Keefer of Harrisburg, seven grandchildren, and one great grandson, two sisters; Margaret and Shirley, and a twin brother Robert. Funeral Services will be held on Friday, November 23, 2018 at 11:30AM at the Feiser Funeral Home, Inc, 302 Lincolnway West, New Oxford, with pastor John Hanner officiating. Burial will be in New Oxford Cemetery. A viewing will be held Friday at the funeral home from 10 AM until the time of service. The Feiser Funeral Home, Inc, New Oxford is in charge of the arrangements. Memories may be shared at www.feiserfuneralhome.com.